The 2016 national elections has just ended, and though the Commission on Elections (COMELEC) has not finished canvassing all the results, there are already clear winners and some candidates have been proclaimed. 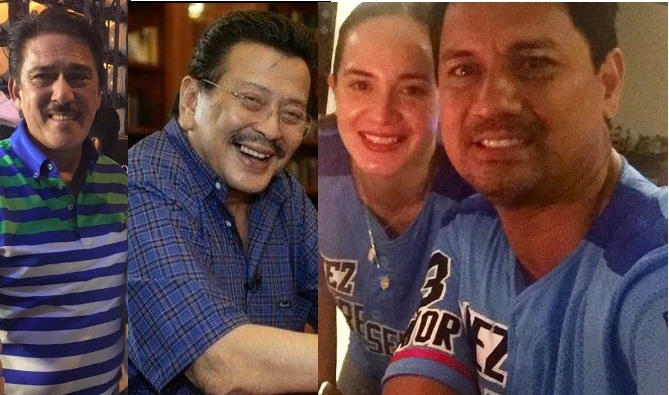 As in past elections, celebrities abound in the political scene. A number of them have won or have been re-elected by their supporters. If you will notice from the list above, some winners are related with each other, and some are couples. Most noticeable among them is the power tandem of Lucy Torres and Richard Gomez. Sotto clan members are also found in the national and local level, from Tito Sotto as Senator to his children and nephews as councilors. Brothers who won are Herbert and Hero Bautista; and Jomari. Anjo, and Ryan Yllana. Other winners who are related to celebrities are Vilma Santos' husband Ralph Recto (Senator), Guia Gomez (Mayor), and DV Savellano (Representative) who's the husband of Dina Bonnevie. There are other celebrities who have tried their luck this 2016 elections, but failed to get enough votes to emerge as the winner. Well, there's always a next time.